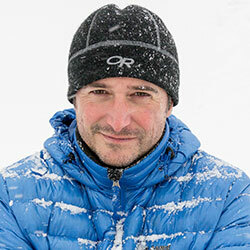 Bryan is an award-winning professional landscape photographer and outdoor educator. He has over 25 years of photography experience with over 100 publication credits from publications such as National Geographic, Outdoor Photographer, Lake Superior Magazine, National Park Traveler, Ocean Paddler, Canoeroots, Adventure Kayak, Canoe and Kayak Magazine, Backpacker Magazine and many more. He is sponsored by Singh-Ray Filters and Northstar Canoe. He started his popular photography workshop program in 2006. His programs take students to the best and often unknown locations in the northland and across the nation to many National Parks. He lives in Grand Marais, Minnesota. The Lower Canyons of the Rio Grande River runs 83 miles from La Linda downstream of Big Bend National Park to a private ranch at the takeout. Along the way, the river passes through open desert, hilly terrain, 1000-foot canyons, and over rapids ranging in difficultly from II to IV. Outside access is difficult, leaving paddlers inside the cocoon of their trip. Hear Bryan talk about canoeing the river, relate stories about hiking up side canyons, and see photos documenting the trip. The connection between water, land, and sky has for ages inspired poets, painters, photographers, and paddlers. In photography, pictures that capture that connection are called seascapes. Regardless of whether you are photographing the sea, the Great Lakes, or the lakes of the Boundary Waters, the techniques for capturing a perfect seascape are the same. Hear about the seascape techniques Bryan has learned, taught, mastered, and written about for Ocean Paddler Magazine. Bryan will display beautiful photographs that illustrate his techniques.